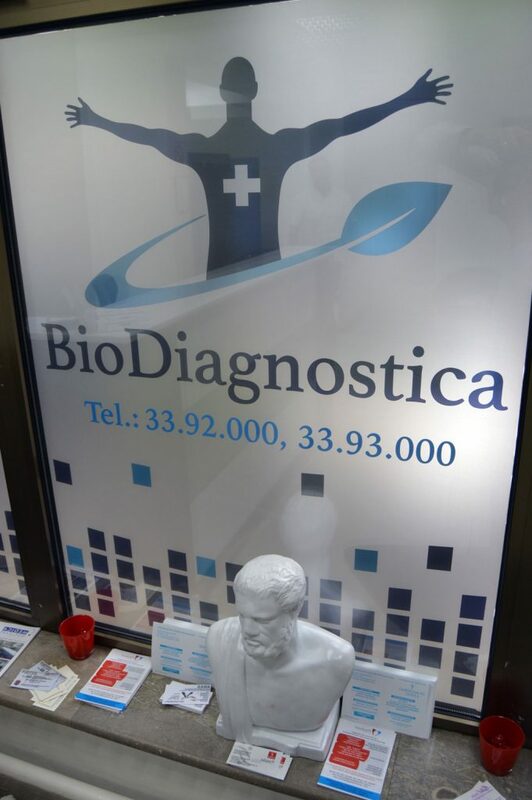 Laboratory of medical biochemistry BioDiagnostica was established in early 2015 as a family business after many years of practical experience. We are located in the municipality of Stari Grad in Belgrade, near the Botanical Garden, street Gundulićev venac 5. BioDiagnostica spreads over 117 square meters and we are equipped with modern automatic analyzers from Roche Diagnostics (biochemistry, immunochemistry) and Nihon Kohden (hematology). The long experience of our professional team is exactly what has allowed us to make a careful choice of equipment, methods and techniques which are implemented. The laboratory provides services to patients but also to health, educational and research institutions. Our mission is to provide high quality services to all customers while respecting the principles of good laboratory practice. Opening hours of laboratory is 07.30h-19.00h on weekdays and on Saturdays from 07.30h-14.00h, during which we offer patronage service for our patients and business partners. Visit us and make sure that we can be your trustworthy and reliable laboratory!